I agree with Ohm on the front plate. I have the AMC flag with Jeep next to it as my front plate. I don't have a bracket for it, but I imagine I can acquire one. Hey Pete, I don't know if you are a star wars fan or not but I have seen a license plate on an XJ that said XJ JEDI and I think MJ SITH is a great response to that. You can, at least in FL and TN and I suspect most SE states, register an antique tag without insuring as an antique or classic, one really has nothing to do with the other. The reason you'll want to insure as a classic is value. I suspect if your truck is stolen or totaled most insurance companies will total you out under $2500, probably closer to $1600. For those who restore or resto-mod classics, you will easily invest 10s of thousands of dollars, that's why insurance companies will appraise your truck. If you think the antique tags are restrictive wait till you read your insurance policy, you will be told how and where you will store your truck, how and when you may use it, whether it can be driven or must be trailered, restrictions on mileage.....etc...you'll even have to get a writer for an 'unattended' truck at an event. My new wheels will be here tomorrow, I'll have more invested in wheels and tires than the truck is worth.......hell......I have more invested in my steering column than most of you payed for your entire truck. One of the things I'll have to look into is insuring my truck some other way, an umbrella policy under my homeowners insurance or.....? IDK, I'll have to look into it, just to insure the value of property in addition to auto insurance. I'm with Erie Insurance and they do write for antiques, I've called and asked but did not take it further, they wanted to order an appraisal......that would be embarrassing at this point, maybe when finished. As for personalized tags, I've had those in FL, AAMEMBR on my truck and ISOBER2 on my bike. I can be rather creative when I want to be and I have some ideas for my MJ.......we'll see when the time comes. 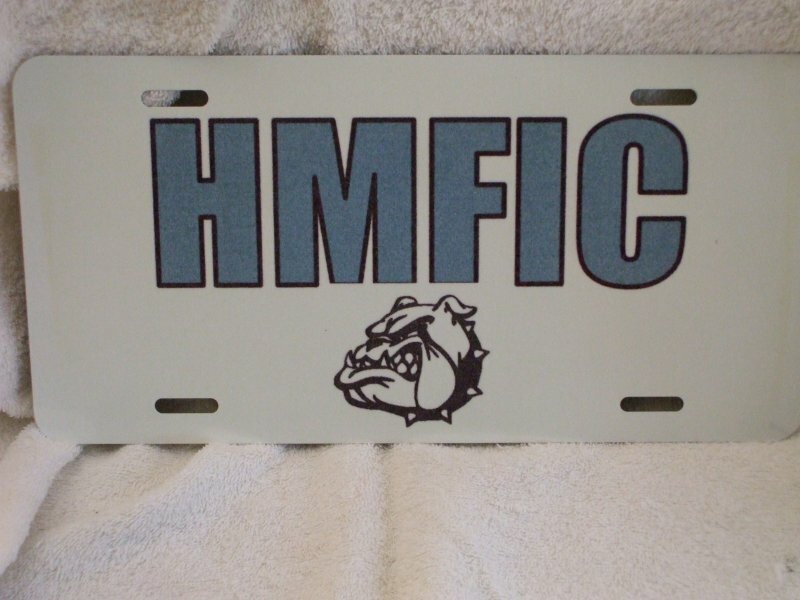 Here my tags are $24 per year, personalized are just over $100 IIRC.......in FL it was about $250 for both tags, fun in the beginning but writing that check will wear the fun off quickly. The reason you'll want to insure as a classic is value. Each state is different, of course. While in Connecticut I can get Early American (I think they recently changed it to Classic Vehicle) tags for all years of MJ and still use my regular insurance company, it's not correct that "one really has nothing to do with the other." I can put regular insurance on a vehicle with classic or early American tags, but I can't buy classic car insurance if I don't have classic or early American tags. Florida nicks you extra for personalized tags every time you renew? In Connecticut it's a one-time charge, when the tags are issued. Renewal is at the same rate as everyone else. Well, OK, you can't get a classic tag if you don't have a classic truck, either. Same with vanity tags as well as specialty tags.......TN has over 100 different specialty tags available. We had specialty tags when we first moved here, those were about $100 annually also. 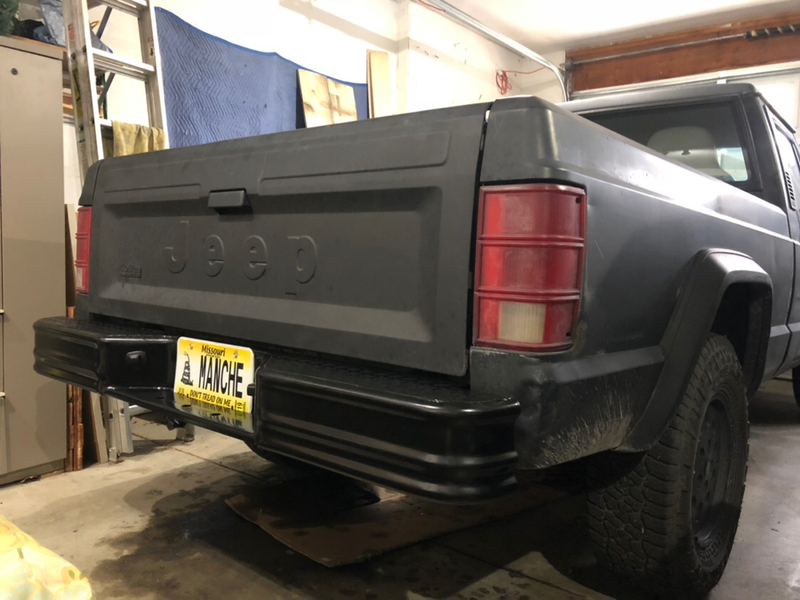 after learning what it would take to get my new truck properly covered in michigan, we're now debating making it my father's truck and plating it in Georgia. still limited to 7 characters, but now MANCHE is available. but I don't think I can get away with AMCJEEP since they specifically ban trademarked words. I guess I could still do AMC JP but I like it less. I could do something like JPTRUCK and maybe crush some future gladiator owners' dreams. If you didn't know already. Just seeing "Manche" drives me insane. I don't know why it irritates me but it sure as hell does. It is really that much harder to say the extra syllable? Must be that the extra two letters are too burdensome to type ... or something. well, when it comes to the plates, they only give us 7 digits to work with in Michigan and Georgia. there's room for 8! give us just one more! the tag is badly faded but I was able to make out that my truck was built in May of 88 which shoots down my "LASTAMC" idea. damn. I really like that one. I still could go for something like "88 AMC" in protest of chrysler's acquisition. I still consider my ZJ an AMC. Sure, ChryCo got their dirty paws all over it, but AMC did most of the leg work. On an '88 MJ there's incredibly little Chrysler content. if there's a chrysler part on this, I haven't found it yet. I had FLYNMUD on my scout for a few years. I think I still have 1 of them in the garage somewhere.